250cc per revolution (approx). With 3 piece steel inlet tube with non return valve, 2″ BSP adaptor and chrome plated outlet pipe. Not to be used with chemicals, Petrol, other corrosive or volatile liquids unless specified. Do not test pumps with water. Keep pumps well oiled when not in use. 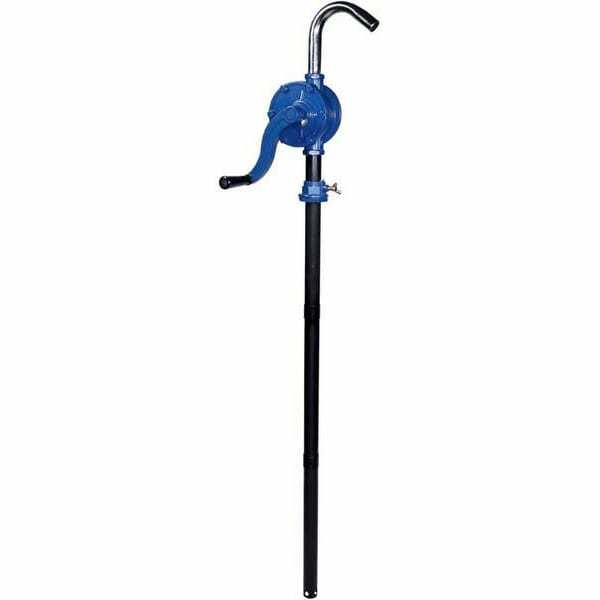 1" Rotary Pump for 205L Barrels., 1" Rotary Pump for 4' Tanks, 1 piece tube., 1" Rotary Pump optional extra: Steel suction tube for 4' tanks, fitted with a non-return valve., 1" Rotary Pump Optional extra: Locking Bracket., 1" Rotary Pump Optional extra: 1.5m outlet hose with nozzle., 1" Rotary Pump Optional extra: Extension tube and fitting.